Domain Ventoura is first and foremost a family owned domain. With 11 hectares (27,18 acres) of Petit Chablis, Chablis and Chablis Premier Cru the domain is set in Fontenay près Chablis and always has been focusing its efforts in the vineyard before even thinking of bottling a wine. Auguste, a simple farmer who owned 3 or 4 shepps and a couple of cows, a few acres of cereal fields and a vine planted in 1953 is whom everything started with. Claude, his son, did everything he could to develop the domain to reach the 11 hectares it is now covering in around Fontenay. The production has been sent to the local coop for 25 years before the choice was made to keep those precious grapes and to transform them into rightful Terroirs' expressions. This journey brought a true deep knowledge of the plots and Terroirs, creating a somewhat intimitate proximity with the Portlandian and Kimmeridgian which nourish the wines' minerality with 150 milions years behind them witnessing the history of Chablis. Respecting the land and the vines is a bit more recent but still is embedded in the Ventoyra falily's DNA. A true will to surpass imposed specifications also pushes the domain to do things its own way by investing into modern equipments and its own press, winery and cellar. As a deeply respectful grand son, Thomas, Claude's son, first took an equally technical path though far away from his land. A change of heart and direction brought him back to school to update his knowledge about vine growing and wine making. Since then it has been a lot of work reading as much as he can, visiting the vineyrds all the time, trying new things for every different vintage and comparing his results with his friends and fellow wine growers. 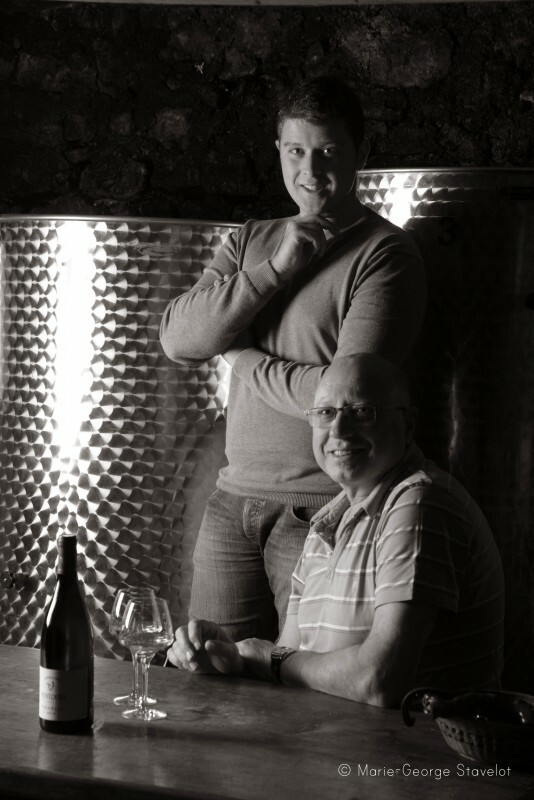 From then on what probably best defines the domaine Ventoura is work, hard work and the nedd to highlight and make shine the richness and complexity of its Terroirs.